A whole host of stars came out to support a good cause for the Prince’s Trust Celebrate Success awards in London last night. 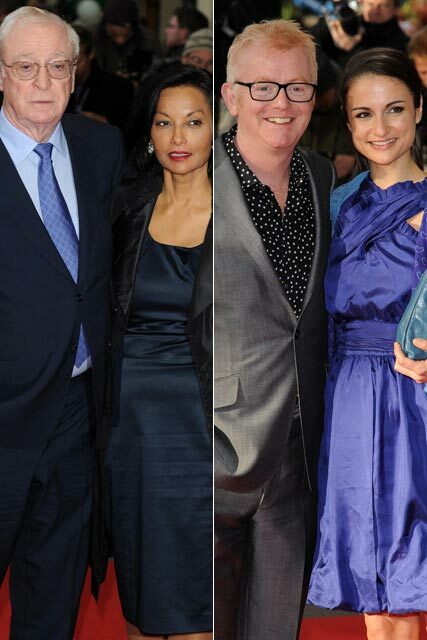 Brit starlets such as Gemma Arterton and Jenny Falconer – in a sweet blue Alberta Ferretti frock – put their most stylish foot forward on the red carpet, alongside Royalty in the form of Prince Charles. Even Tess Daly and Vernon Kay managed to put their differences behind them for one evening and present a united front as hosts of the event – both being ambassadors for the charity. The annual Celebrate Success awards were created to honour the hard work and commitment of the people who work on behalf of the Prince’s Trust, as well as recognise young people who have overcome extreme adversity – such as homelessness and drug addiction – in order to return to work and education. 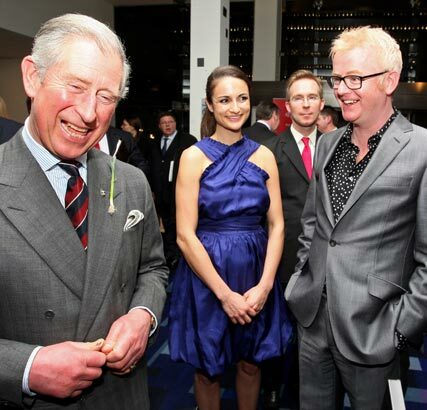 Prince Charles was on hand to welcome fellow famous Prince’s Trust ambassadors to the event, including Sir Michael Caine, Michael McIntyre and Chris Evans. He also made an appeal for more adult volunteers to step forward. ‘With more adult volunteers – more adult role models in the community – we can help turn young people away from false support systems such as gangs, drugs and alcohol addictions,’ he added.